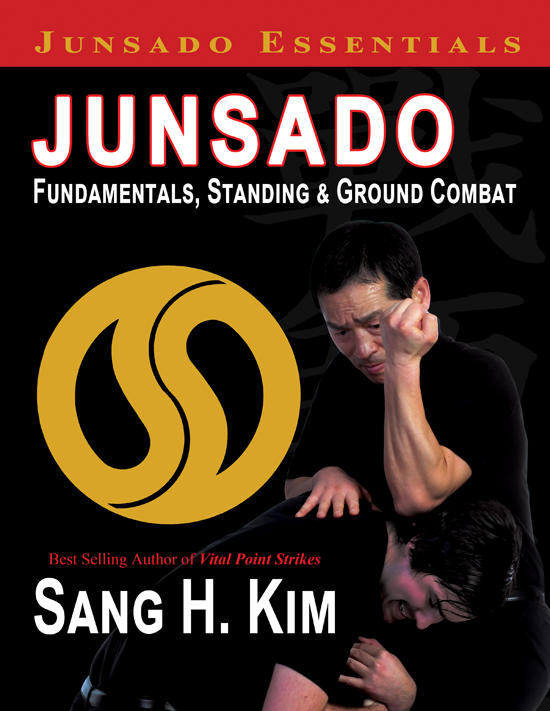 In the new e-book, Junsado Fundamentals, Standing and Ground Combat, Sang H. Kim teaches you how to neutralize and destroy your opponent in standing and ground confrontations, including realistic, no-nonsense strategies against tackles, head locks, chokes, arm locks, punches, grabs, low kicks, sweeps, throws, pins and a variety of strikes. Developed based on the popular Junsado videos and DVDS, along with valuable feedback from the Junsado practitioners from all over the world, this is the first book in the Junsado Essentials Series. Over 50 standing and ground combat scenarios take you through a wide range of possible attack and defense situations to improve your fighter’s instinct. In addition to demonstrating a practical defensive strategy, each scenario illustrates a key Junsado principle in action, building your ability to apply fighting principles across a wide range of situations. Also included is a complete reference to the fundamental skills of Junsado, including: stance, open and closed hand strikes, elbow strikes, low kicks, knee strikes, takedowns, wrist, arm, elbow and shoulder locks and ground fighting skills. Junsado, literally translated as The Way of Combat Expert, is known for its versatility and adaptiveness in fighting. It has its origins in late 1970s and early 1980s, created by Sang H. Kim during his service as a South Korean counter-intelligence agent. Today it is a dynamic and direct fighting style that can be applied to stand-up and groundfighting situations in the ring and on the street. This entry was posted in Junsado Fundamentals and tagged book, fighting, junsado, junsado essentials, junsado fundamentals, self-defense, standing and ground combat. Bookmark the permalink.